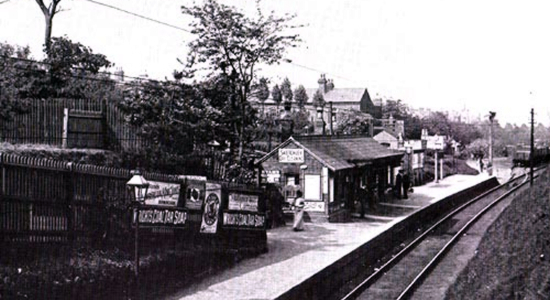 Hagley Road was one of only four stations to be opened on the Harborne Railway. The railway was an odd operation being owned by the Harborne Railway company but staffed and operated by the LNWR. Opening in 1874, Hagley Road enjoyed a longer shelf-life than two of the other stations on the route (Icknield Port Road and Rotton Park Road) as although losing passenger traffic in 1934 along with the rest of the line, the station carried on as a goods facility until final closure in 1964. The postcard above shows the station during happier times around 1913/14: the view is taken from the Hagley Road overbridge looking towards the City and illustrated well the single-track nature of the line and, just beyond the station, you can just make-out some goods sidings. 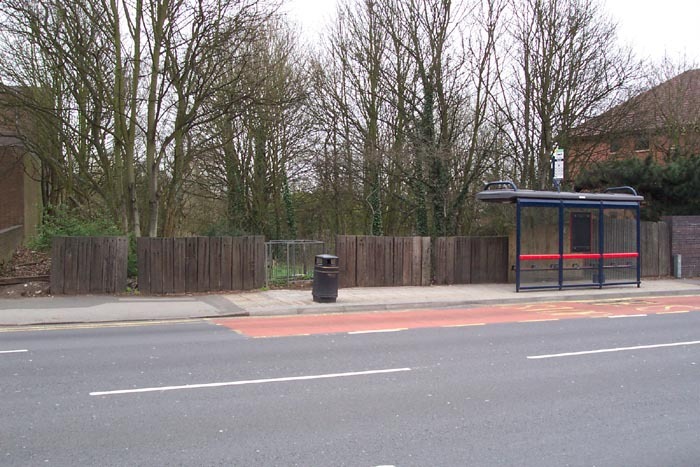 Above-left we are on the Hagley Road looking across to the site of the entrance pathway to the station, which can be seen to the left of the shot at the top of the page, that is situated immediately behind the rubbish bin and imaginatively flanked by a fence of railway sleepers! 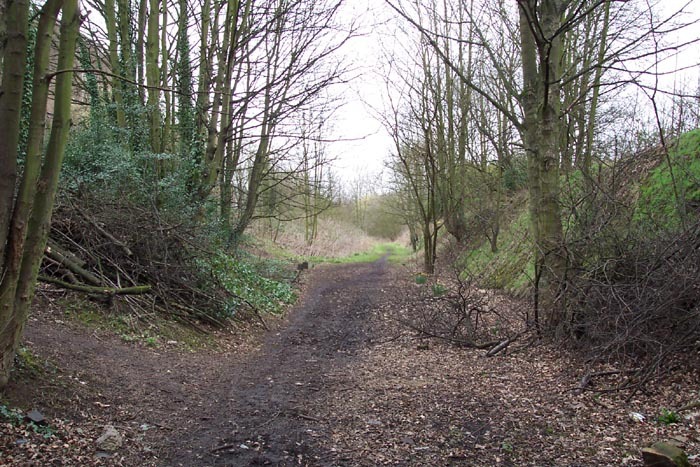 Above-right we have crossed Hagley Road and are looking down the pathway which led to the platform with the trackbed at the bottom of the cutting to the right. 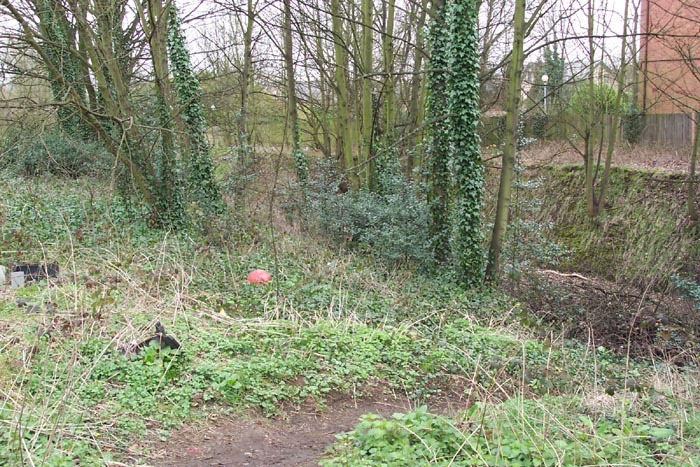 The fact that the line is still accessible is due to it being preserved as far as Icknield Port Road as the Harborne Nature Walk. 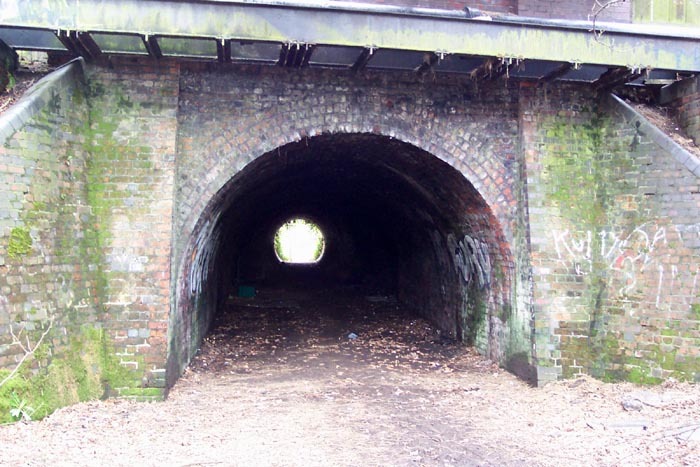 Above-left we are standing in the mouth of the underside of the Hagley Road bridge looking at the station site with the entrance pathway above and to the left. Above-right we have moved forwards to the beginning of the platform which was to our left and can clearly see the angle of the entrance pathway to our left: we are facing in the direction for New Street station. Above-left we have again moved forwards but this time have turned around to face Harborne and ahead we can see the Hagley Road bridge. More interestingly, towards the right-hand corner of the shot (best seen in the enlarged photograph) is the remains of some station brickwork. At first glance I thought this was the remains of the platform edge but, considering the trackbed has been raised somewhat, I'm not too sure but it is certainly station remains and is sited at the point of the station building seen in the photograph at the top of the page. Above-right we are looking through the Hagley Road bridge with the station to our rear. 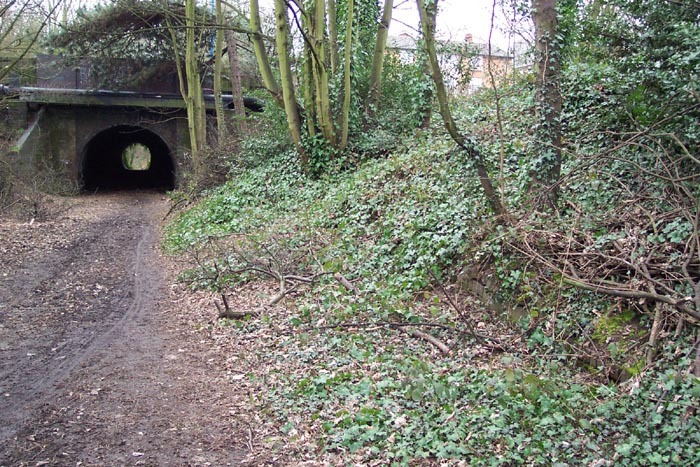 Interestingly, but not immediately apparent from the photograph, the bridge bore changes halfway through as the Hagley Road has beed widened since the days of the railway and a narrower 'tunnel' section added to the far side.